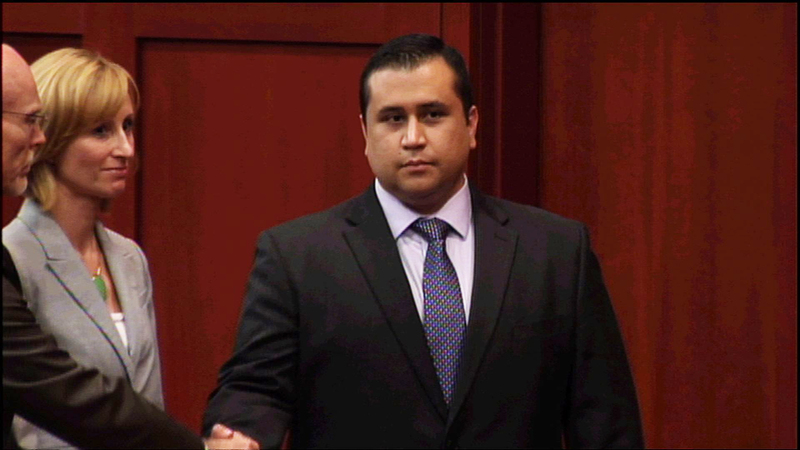 Americans are sharply divided over the George Zimmerman verdict, whereby Zimmerman was found not guilty in the death of Trayvon Martin, according to a new CBS News poll out Wednesday. Forty-two percent of Americans say they are either satisfied or pleased by the verdict, but 46 percent describe themselves as either disappointed or angry. Feelings about the Zimmerman verdict reveal a division along racial lines. While 52 percent of whites are at least satisfied with the not guilty verdict, an overwhelming 94 percent of blacks feel differently: 53 percent of blacks say they are disappointed and 41 percent describe themselves as angry. After Obama's remarks on Trayvon Martin, what next? There is a large division by political party as well, with 73 percent of Republicans satisfied or pleased, and 65 percent of Democrats either disappointed or angry. Independents are more divided, though they lean towards disappointed. Americans continue to rate the nation's economy badly: six in 10 still say it is in bad shape, while 37 percent say it is good. Views of the economy are more positive now compared to last year at this time, but the percentage that says the economy is in bad shape has been 60 percent or higher since January 2008. President Barack Obama touted the Affordable Care Act in a speech last week, but Americans remain skeptical. As they have since the health care law was enacted in 2010, more disapprove than approve of it. Most Americans want either the entire law repealed (39 percent and the highest in CBS News Polls) or a repeal of the individual mandate (18 percent). Fewer want to see the law kept as is or expanded. As might be expected there are partisan differences here. Most Republicans disapprove of the health care law and want to see it repealed, while Democrats support the law and prefer it be kept as is or be expanded. More than three years after the health care bill was signed into law, 52 percent of Americans say they are confused about the effect it will have on them. Fewer than half - 44 percent - say they have a good understanding of the law - a percentage that hasn't changed much since March 2010, shortly after the law was enacted. From what Americans have heard or read, more think the health care law will personally hurt them (38 percent) rather than help them (13 percent). More than four in 10 think the health care law will have no impact on them personally. As Congress continues to tackle immigration reform, there is widespread support for providing a path to citizenship for illegal immigrants in the U.S. if they meet certain requirements, including a waiting period, paying fines and back taxes, passing criminal background checks and learning English. Seventy-eight percent favor that; just 20 percent oppose. Support cuts across partisan lines. Still, Americans think securing the nation's border should be a higher priority over addressing the status of illegal immigrants. Majorities of Republicans and independents say border security should take priority, while Democrats are more divided. This poll was conducted by telephone from July 18-22, 2013 among 1,036 adults nationwide. Data collection was conducted on behalf of CBS News by Social Science Research Solutions of Media, Pa. Phone numbers were dialed from samples of both standard land-line and cell phones. The error due to sampling for results based on the entire sample could be plus or minus three percentage points. The error for subgroups may be higher. Interviews were conducted in English and Spanish. This poll release conforms to the Standards of Disclosure of the National Council on Public Polls.